I know I preach about how I don't really like chocolate, but the one kind I DO eat is chocolate cake mix either in cake or cupcake form. I also tend to preach about how much I like box cake mixes. I think there is no reason not to use a box mix when they come out perfect every time. You can even add to or change the ingredients to give them a richer taste. In case you didn't already know I'm also a coffee lover! And I LOVE all things coffee flavored. I love coffee ice cream, coffee candy, coffee coffee, lol and I ESPECIALLY LOVE my newest buttercream variation which happens to be coffee flavored Mocha Buttercream. These have got to be the best darn cupcakes I've ever made! I stood at the kitchen sink when I tried the first cupcake and here's how it played out. I peeled back the liner on one side just enough for that first bite; you know in case they weren't that good lol. Took the first bite, savored it a little and bam! "oh my gaud!" quickly peeled off the rest of that darned liner, another bite "oh my gauud!" one more bite "oh myy gauuuud, I think I've died and gone to heaven!" I kid you not and I'm sure there was even some eye rolling involved! Preheat oven to 325 degrees for dark pans like mine and 350 degrees for light silver pans. Line a 12 tin muffin tin with paper liners and set aside. In the bowl of a stand mixer or medium bowl beat the ingredients for the cake until they are completely combined and smooth. 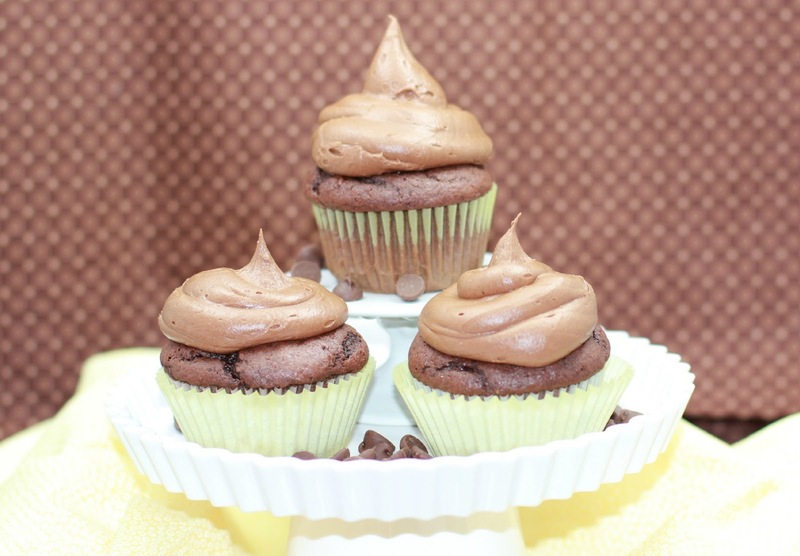 (depending on how high you like your cupcakes) with batter. Bake for 18 - 20 minutes or just until a toothpick inserted into the center comes out clean. Don't ask me why they have a cracked look because I have no clue but they always do, lol. To make the frosting cream the butter for 2 minutes until light and fluffy. Add the powdered sugar, cocoa powder, and espresso powder and SLOWLY turn on the mixer. When the powdered sugar is mostly mixed in start adding the cream and vanilla. Whip the frosting for 2-3 minutes until a light mocha color. And now you get to eat them :) YUM! Well with a description like that, they must be made ASAP! Pinned! Delish! I would love one of these, Michelle! I will take a dozen of these Michelle :) They look yummy!! Michelle, these look delicious! 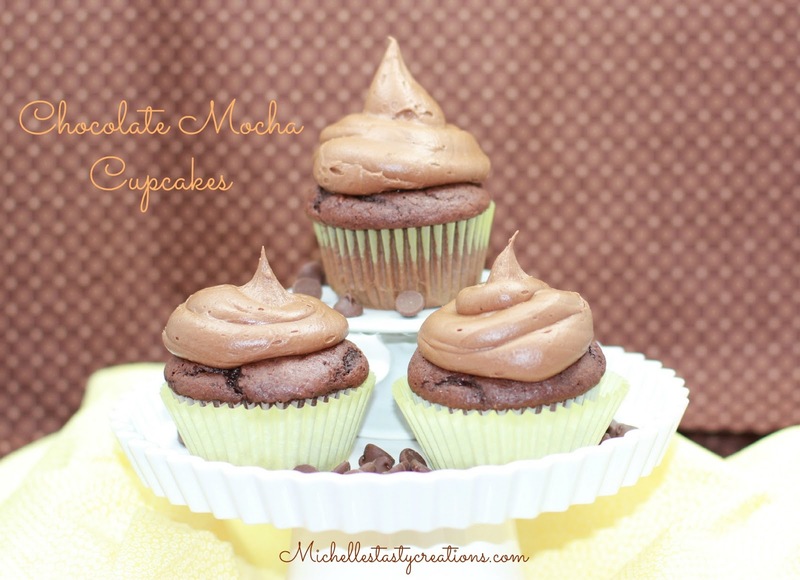 Mocha buttercream sounds really yummy!